SSRF are often used to leverage actions on other services, this framework aims to find and exploit these services easily. 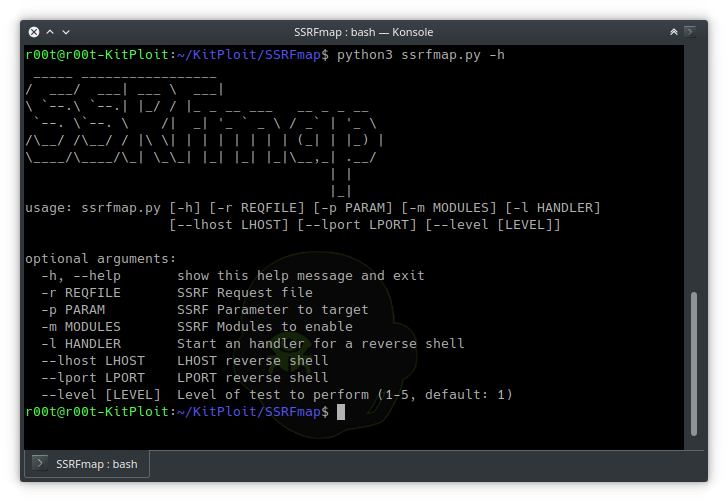 SSRFmap takes a Burp request file as input and a parameter to fuzz. Server Side Request Forgery or SSRF is a vulnerability in which an attacker forces a server to perform requests on their behalf. Basic install from the Github repository. The default way to use this script is the following. A quick way to test the framework can be done with data/example.py SSRF service. The following modules are already implemented and can be used with the -m argument.